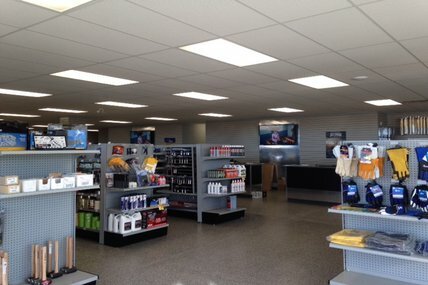 Midway Distributors is a Napa Auto Parts store and Air Liquide Canada welding supplies and compressed gases distributor servicing Lloydminster and surrounding area. Midway has been in business in Lloydminster since 1971. Midway Distributor's business is, and always will be, based on customer service. Our mission statement is, "to provide a level of service that exceeds our customers expectation". This is something that we take very seriously. From our knowledgeable in-store personnel, competitive pricing and the fleet of delivery trucks available to get the parts to you on-time, we pride ourselves on giving a 100% effort to exceed your expectations each and every time. Midway Distributors is also very proud to be locally owned and operated. We are committed to our community and its many charities and events. We are proud to invest back into our community and support The Lloydminster Regional Health Foundation, Lloydminster Minor Hockey, CPCA Chuckwagon Finals and many other local events and teams.